Increased complaints from campers about the lack of cellular coverage was deemed a health and safety issue. Cel-Fi GO was the best and only legal solution to bring cellular coverage to the campground. Lake Elphinstone is a natural lake within Nebo Shire in the Mackay region of Queensland. Located about 90km west of coastal Mackay, Lake Elphinstone is a family friendly camp site. The good news for all visitors was that mobile coverage was available – the bad news was that access was very limited. 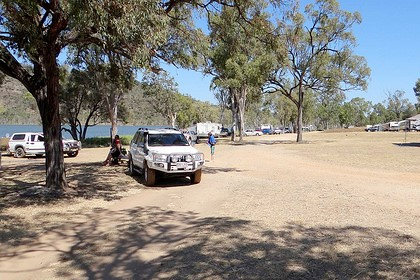 Complaints from campers increased, and the lack of signal was deemed a health and safety issue, so the regional council contacted telecommunications expert TAA Connect to come up with a solution. The site is a long way from cellular coverage and if available, the signal being received was minimal and intermittent. Barely transmitting 3G coverage, many campers could not use their voice and data. In addition to poor coverage, there was a lack of suitable power options to operate a solution. The Cel-Fi GO is the strongest repeater on the market. With up to 100 dB of gain, it was the best solution and the only legal retail option to boost the signal at the campground. 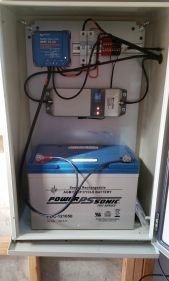 TAA Connect initially set up the solar powered solution to power and house the Cel-Fi GO securely in the shower/amenities block at the site. The Yagi antenna was utilized as one of the highest gain on the market. After install of the solution, Lake Elphinstone campsite received a permanent mobile signal around the shower/amenities block. The GO can amplify the mobile signal over a 900m2 coverage area (and further) depending on the barriers the cellular coverage signal needs to penetrate. From receiving minimal to no cellular coverage, the solution provided signal for the campers to utilize their phones and even data.